I’ve been living off of smoothies for the past couple of weeks and this tropical ginger smoothie is one of my new favourites. Well, technically I’ve been living off of smoothies and cereal to be honest. The good news is that I’m finished my third year of university! This year had some major ups and downs, more so than any other year before (even including my first year, which I absolutely hated), so that’s saying something. Yesterday was my first day off in months, between blogging and going to school there’s always something to work on. It was hard to stay away from emails and cooking, but I needed a day to just do nothing. I went for brunch with a couple friends, watched a little Netflix and went grocery shopping. Sounds boring but it was just what the doctor ordered. That’s the kind of day I dreamt about a few weeks ago. I wanted to make a smoothie that would really kickstart your day in the best way possible. I’ve been on a huge tropical fruits kick, so that’s the direction I took with this smoothie. It’s kind of the perfect thing for the summer because for some reason, I always crave more tropical flavour in the warmer months. Maybe I should try this smoothie in the depths of winter, it might brighten up my day. This smoothie has fresh ginger in it because, why not. I love the flavour of ginger and it is an ingredient that is so good for you that I think it must be a great way to start your day. The ginger flavour in this smoothie is subtle, but you can always add more if you want – that’s kind of the fun thing about smoothies, you can just wing it and add a bit of this and a bit of that. 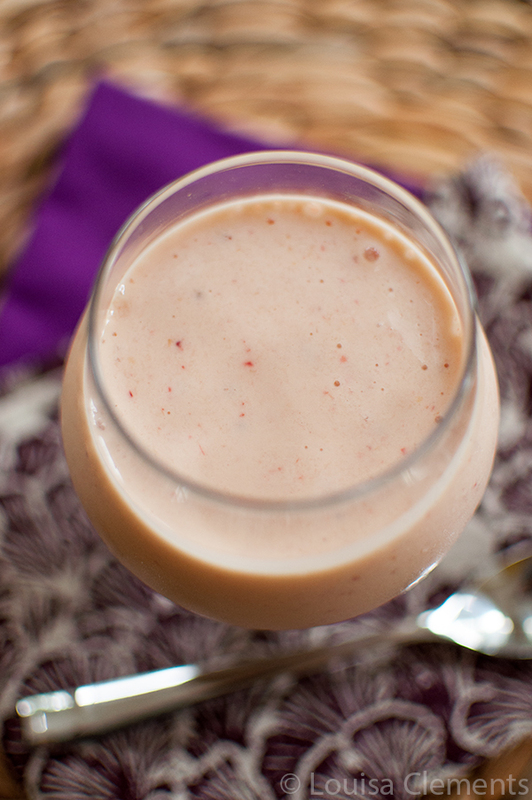 For this smoothie I used Plain Yamba Yogurt which makes the smoothie super creamy and smooth. 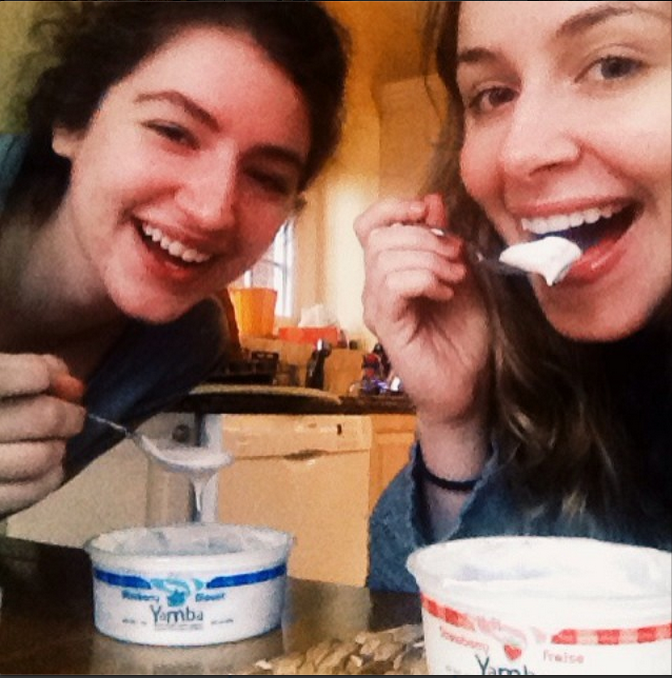 I’ve talked about this before, but my Mum and sister both have allergies to gluten and corn so finding a yogurt that they can eat is challenging (you’d be surprised how many are made with corn starch) so I love that the Yamba yogurts have no corn or gluten in them. With this yogurt, I can make these Tropical Ginger Smoothies for all of us to enjoy which is a bonus. They also have strawberry and blueberry flavoured yogurts which are divine and along with my smoothies and cereal, these yogurst were the perfect study snack during finals week. Study snack break from my Instagram. 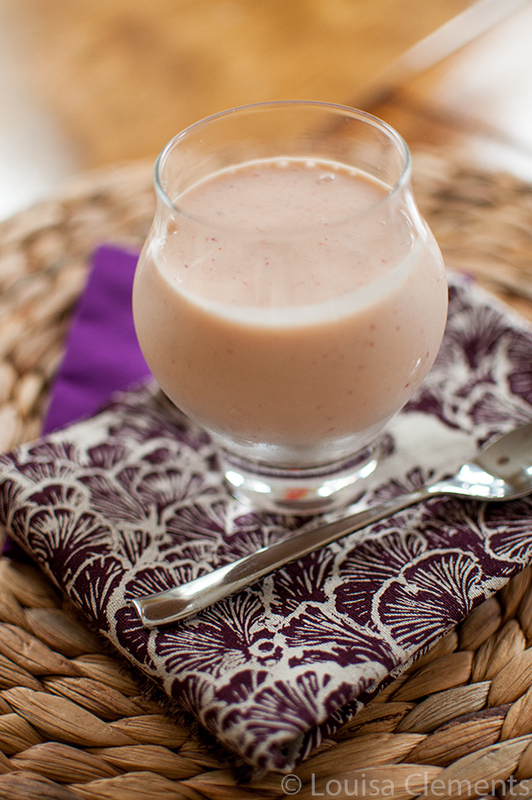 Kickstart your morning with a Tropical Ginger Smoothie. Disclosure: I was provided with the product for review purposes. I was not compensated in any other form for writing this post. The decision to write about the product and use it in my tropical ginger smoothie was my own and all opinions are 100% mine.